Find Your Core and Never Let Go! In the world of health and fitness, there is an obsession with appearances. Looking good, flaunting your muscles and most of all building those six-pack abs are often the goals. It is perhaps this skewed view of fitness that makes yoga appear more complicated than say, doing sit-ups, crunches or other exercises that focus on the abdomen. In a yoga class, you will often hear the teacher telling you to ‘engage your core.’ This is a highly debated subject and rightly so. One way of looking at it is the physical which involves identifying those muscles such as Rectus Abdominis, Transverse Abdominis, the Obliques and so on. Another way of looking at it is holistically. This means to be aware of your central source of strength and energy. It involves the spine, the trunk, the abdominal and the pelvic muscles but it also involves the depth of your awareness in maintaining spine stability, balance and posture. How to find the elusive core? Initially when I started yoga, the core was a constantly shifting concept. The six-pack ab ideal in my mind did not help because that was merely scratching the surface. By the way, if you are looking for a six-pack in a yoga studio, you are looking for it in the wrong place. Secondly, you are in all probability looking for the wrong thing because you are compromising on flexibility and inner stability by being obsessed with something as superficial as six-pack abs. It is only by regular practice that you will find your core and when you find it, it may not come as a revelation. It is rarely as dramatic as a moment of epiphany. You discover it slowly but surely, sometimes when you are doing a side plank pose or a dolphin plank pose, the locust pose or an inversion such as a shoulder stand or a headstand. And then, you slowly become aware of it all through your practice. As the celebrated Ashtanga yoga teacher, Pattabhi Jois used to say, “Yoga is 99% practice and 1% theory.” So, no matter how much you analyse and identify your different muscles and focus on them, it is only through regular practice of the yoga asanas or physical postures that you will be able to find your core. Take it beyond the mat and the studio. Once you find your core, you will not let go. It is like breathing. Yoga makes you aware of your breath even when you are not in a studio. Whether you are running, walking, at work or relaxing watching a movie or reading a book, you become aware of your breath and on a deeper level prana or life. Indeed, the term for breathing techniques in yoga which is called pranayama, is derived from the term prana which means life or life-breath. Similarly, once you find your core, you will be aware of it in your everyday life. It will establish correct posture when you, walk, sit or stand and imparting grace and balance to every movement that you make, whether on or off the mat. Real yoga practice goes beyond the physical, beyond what we can see, it becomes an awareness of how we live. Yogasync Me! 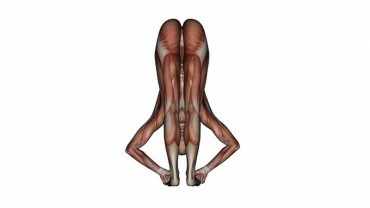 Access quick fix core activation yoga here and now.